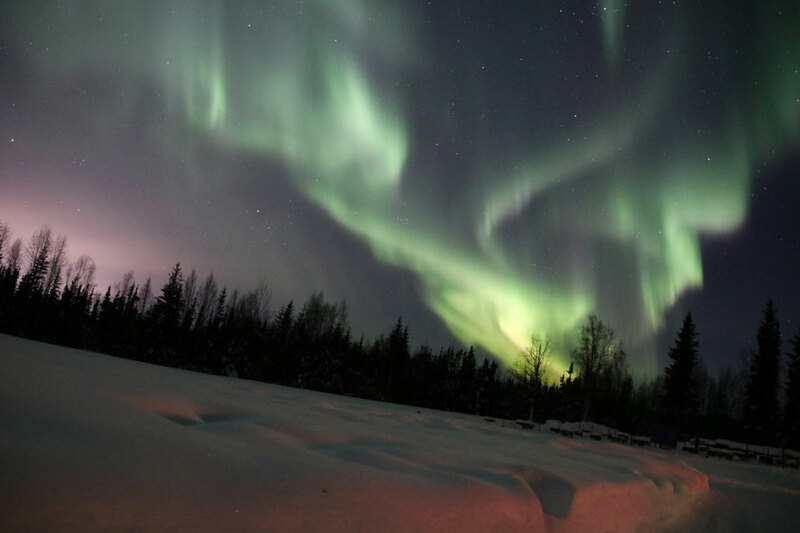 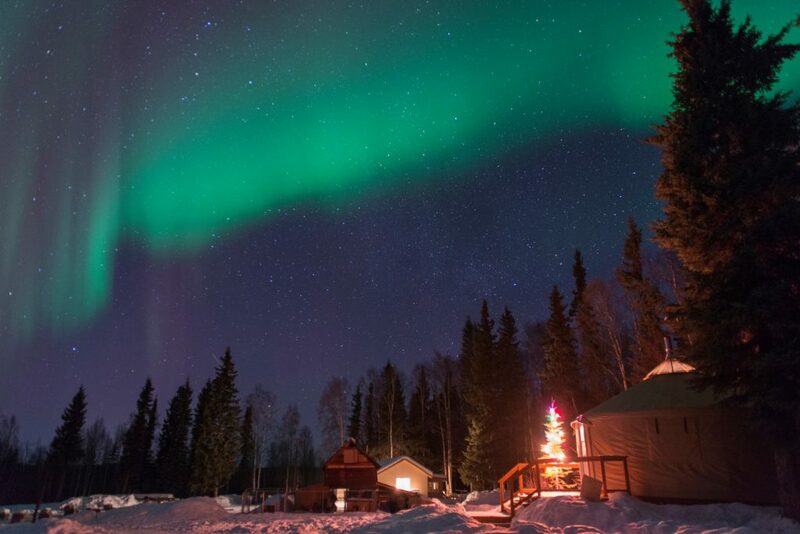 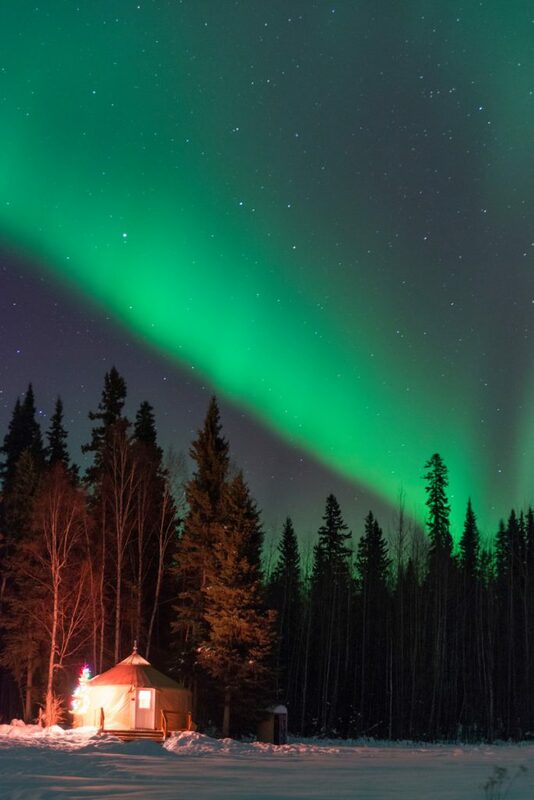 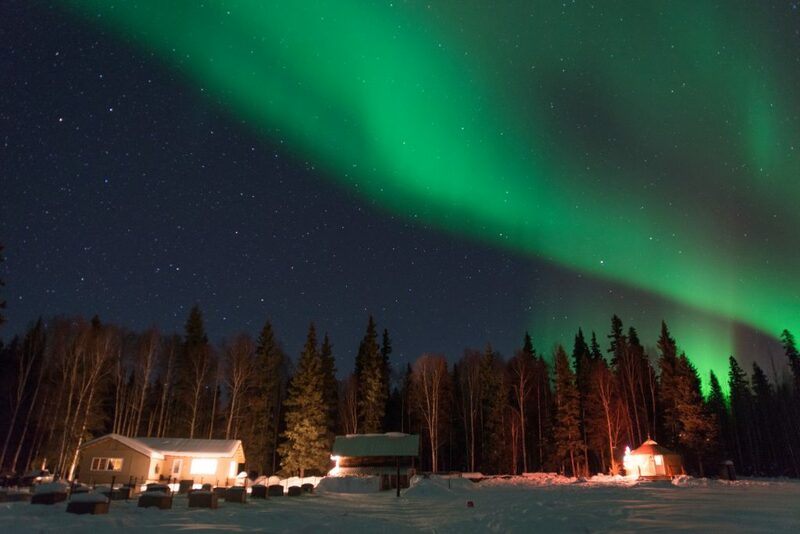 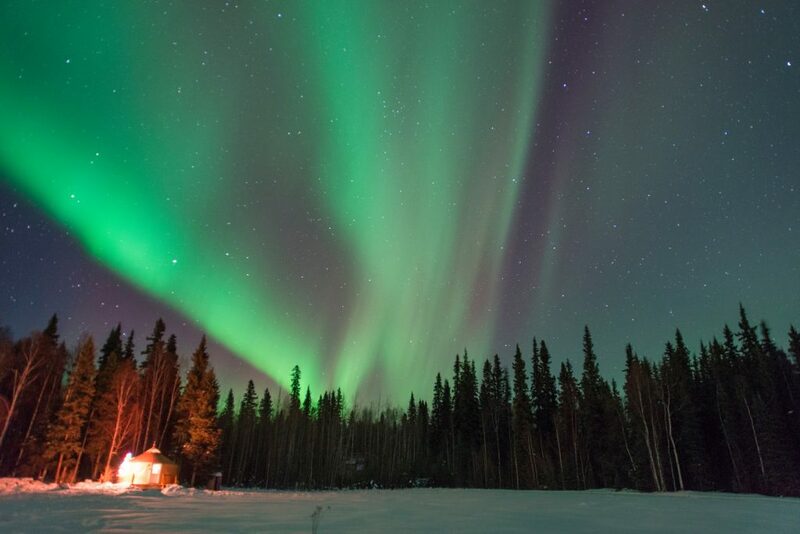 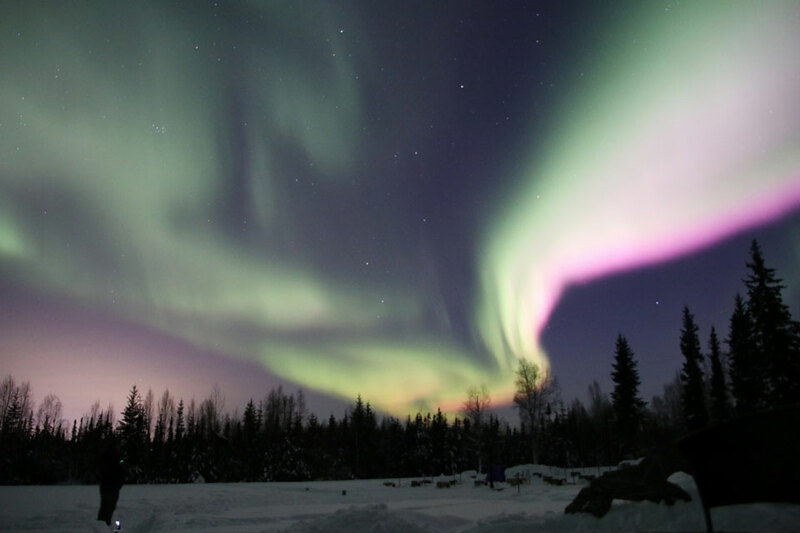 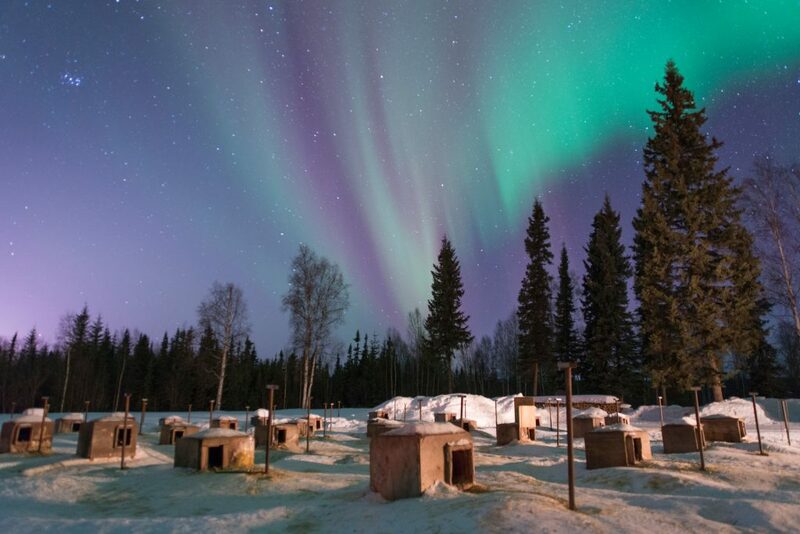 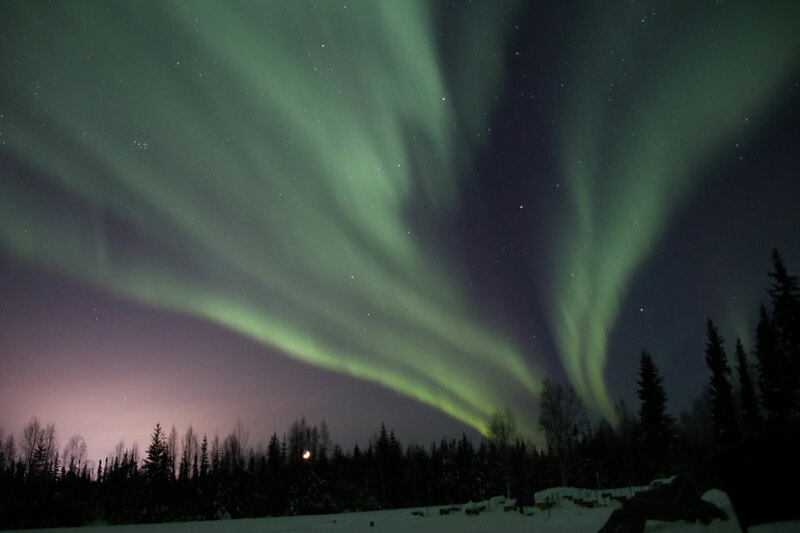 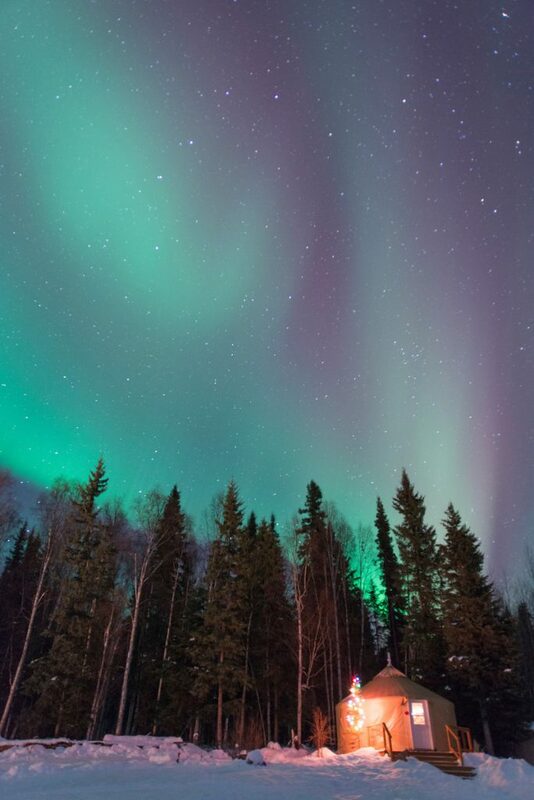 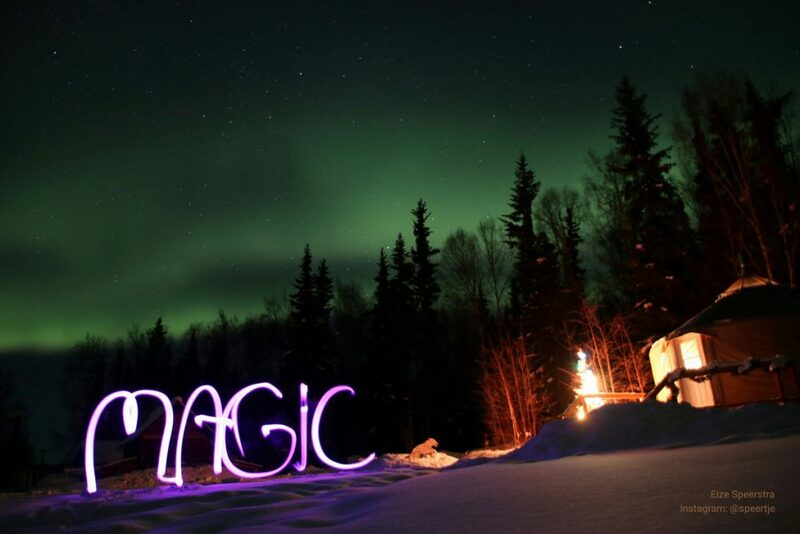 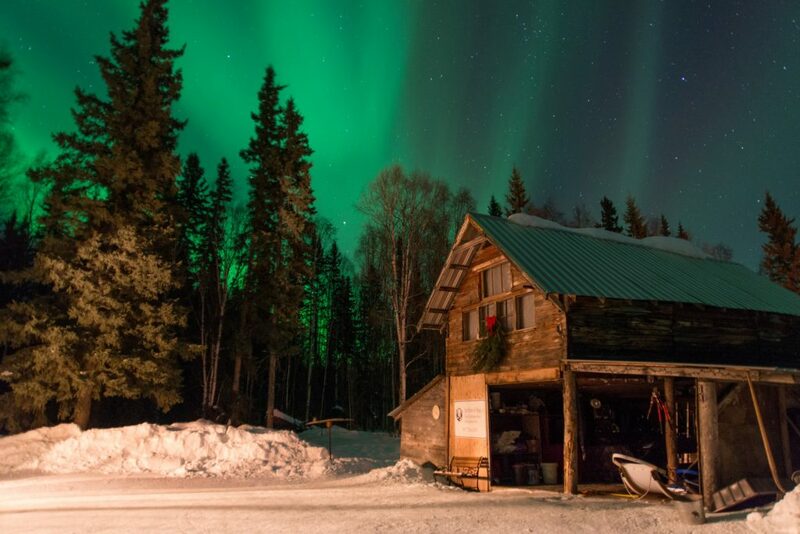 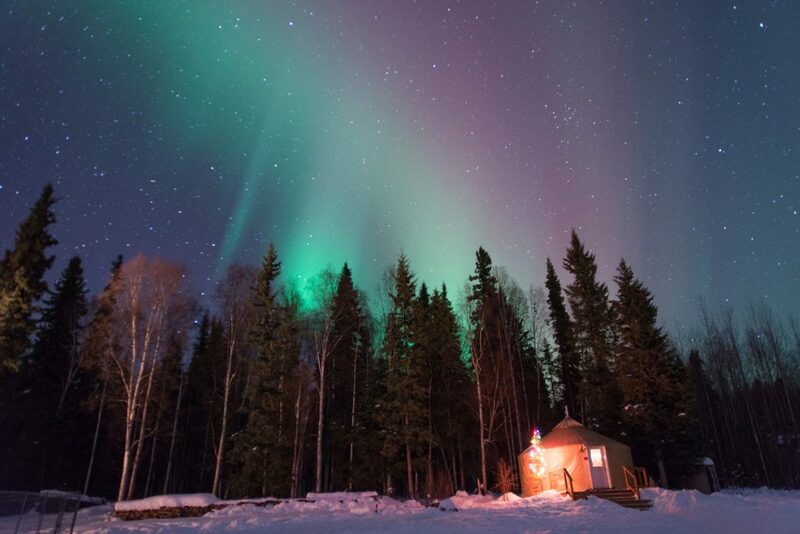 An overnight stay at Just Short of Magic offers a perfect opportunity to view the northern lights. 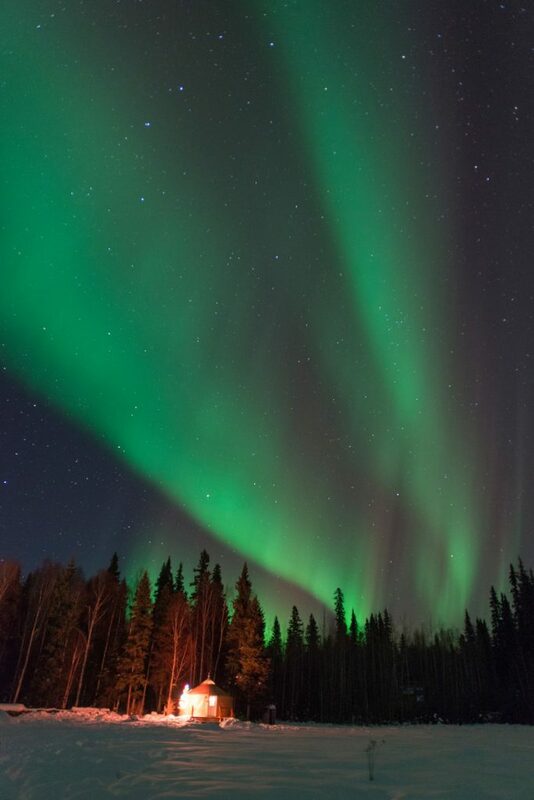 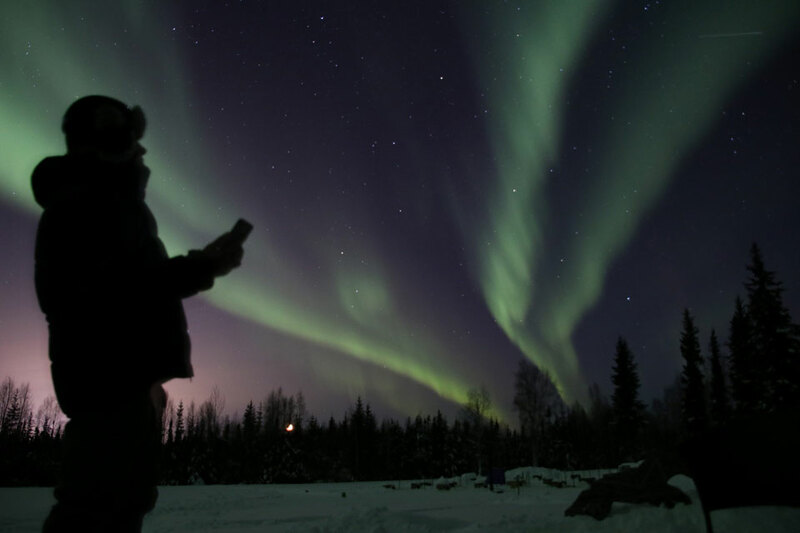 We are located far enough from the light pollution of Fairbanks’ city lights to allow star filled skies and brilliant displays on clear nights. 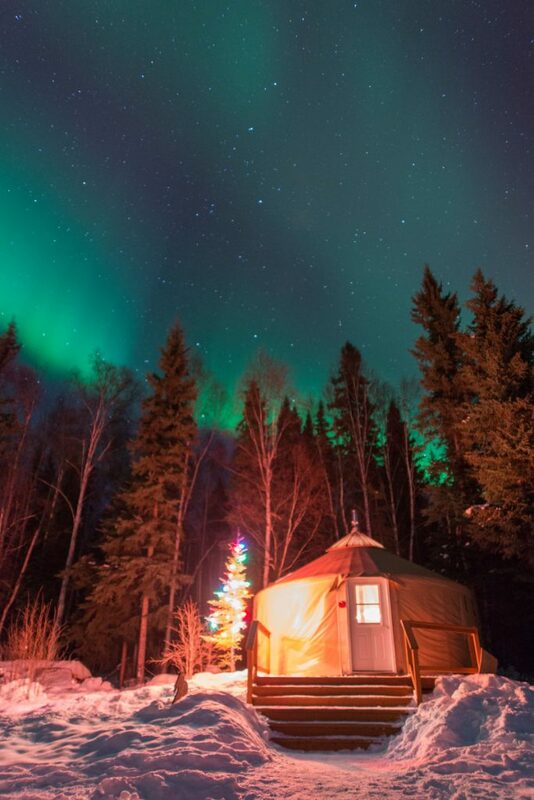 The open meadow in front of the yurt offers an unobstructed view of the northern sky. 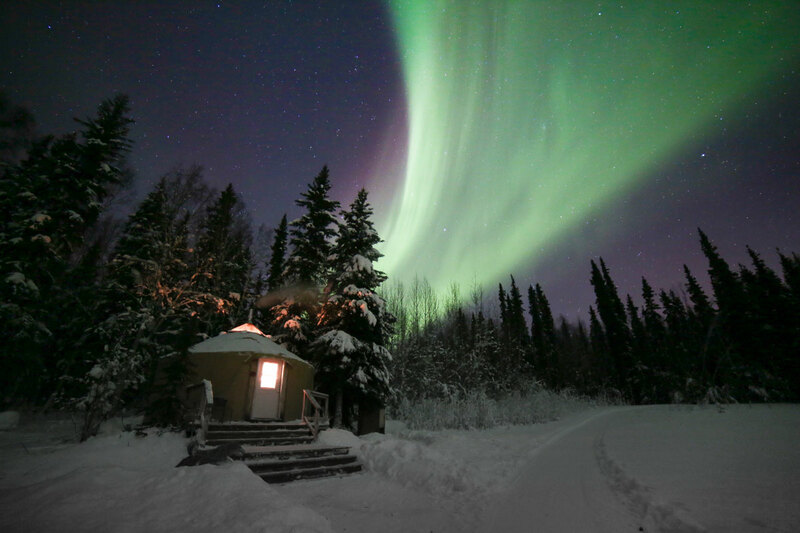 On cold nights, you can easily warm up inside your private yurt, and watch through the skylight for auroral activity overhead.